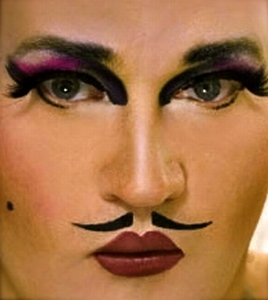 Kevin was one of the original cast members of Seattle’s acclaimed Teatro ZinZanni. He is a writer, director and producer whose work has led him overseas in addition to being a steady presence in Seattle’s theater community. Improvising his way to and through humor using wit and physical comedy has been his trademark. His characters, including Cookie the Chef, Clifton Caswell, Manchester and Mable are somehow real and real funny at the same time. You’ll see more than one of the festival’s performers gather out front to see what he has in store for us. Most recently Kevin was seen in the first touring edition of Teatro at Segerstrom Performing Arts Center in the LA area. We’re so happy to have him in the 2013 Moisture Festival.